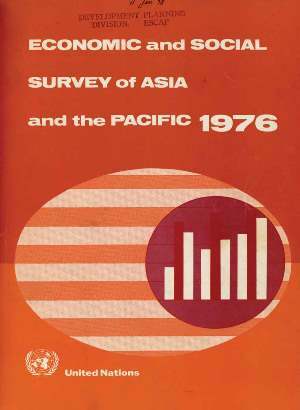 The 1976 Survey is the thirtieth annual report on the region produced by the Economic and Social Commission for Asia and the Pacific (ESCAP), and the third biennial review of economic and social developments during the Second United Nations Development Decade, i.e. the 1970s. The purpose of these biennial reviews is to monitor progress by the developing countries of the ESCAP region towards the goals established by the International Development Strategy for the Second United Nations Development Decade. However, the format of the current biennial review is somewhat different from those of previous years (1972 and 1974) in that the actual review exercise is confined to one chapter, while the main body of the Survey dwells on the emerging priority areas of development. The Survey was prepared mainly during 1976, and with more than half of the decade elapsed, it was thought an appropriate time to be re-assessing these priority areas which are taking on an increasing urgency. The key to them is self-reliance which involves wider participation in the development process, a fairer distribution of its benefits, but also the attainment of greater collective self-reliance through enhanced co-operation among developing countries. The 1976 Survey is organized into five major chapters. Chapter I is concerned with the over-all view of developments in the countries of the region, while chapters II to IV examine in detail the major priorities to which development strategies must address themselves. The final chapter is an attempt to bring together the highlights of the preceding analysis and point the way along the paths desirable for future development.